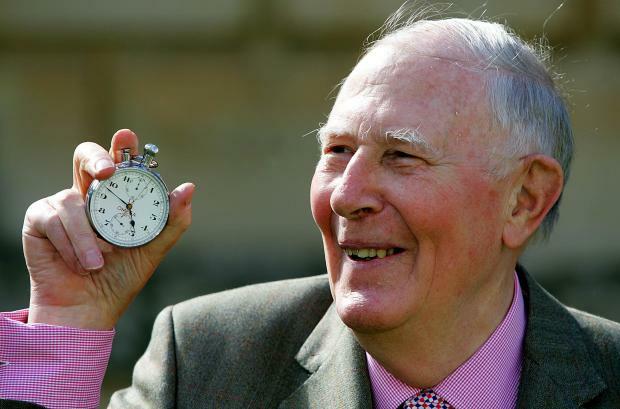 Roger Bannister's death at the age of 88 prompted a host of emotional tributes to athletics' great barrier breaker on Sunday with the sport's senior figure, Sebastian Coe, saluting him as the "man who made the impossible possible". Coe and Steve Cram, who followed in the spike tracks of the sport's first sub-four minute miler to also become world beaters, emphasised that, while Bannister had been their running hero, he meant so much more to the life of his home nation. To Coe, another British world record holder at the mile, Bannister's landmark achievement in 1954 "transcended sport beyond athletics". Cram, who broke the mile world record in 1985, told Reuters in Birmingham: "Bannister really started off that great British tradition of great middle distance runners which people like Seb (Coe), Steve (Ovett) and myself were able to continue. "But beyond that, he was part of that pioneering spirit which seemed to exist in the 1950s - with a new Queen on the throne, Everest being conquered, the new TV age and the idea that you could do anything you put your mind to in barrier-breaking. "The four-minute mile stood out. Someone was going to break that barrier and it turned out to be him. What a great period that must have been to be alive." To Cram and Coe, the man who now runs the sport as the IAAF president, Bannister's three minutes 59.4 seconds run at Iffley Road, Oxford, was the almost mythical tale which underpinned their own youthful athletics days. "The first book I read was (Bannister's book) The Four-Minute Mile, my coach (Jimmy Hedley) used to get me to sit and watch that grainy film in the days before YouTube," said Cram. "I got to meet him after I got selected to go to the Commonwealth Games when I was 17 and he was a big part of my early athletics career development, as the biggest hero in our sport, especially for a 1500 metres runner like me. "I was completely awe-struck when I met him but he was a gentleman, an engaging personality who put you at your ease." Cram felt the next generation of athletes were just as inspired by Bannister's legacy. Mo Farah, the greatest British distance runner of all and one of the finest in the sport's annals, tweeted on Sunday: "I'm so sorry to hear the sad news about Roger Bannister. "I met him several times throughout my career and he was always humble, supportive and encouraging. He was an inspiration to so many." At the world indoor championships in Birmingham, the news cast a sad shadow over the final day of events on Sunday as the IAAF prepared a special tribute to Bannister's life and times to be screened to the crowd in Arena Birmingham. Coe, who had only just learned the news before the launch of a new IAAF Heritage initiative designed to showcase the sport's former greats like Bannister, explained: "This is a day of intense sadness both for our nation and for all of us in athletics." Coe told his audience: "On May 6, 1954, Roger made the impossible possible. Just one year after the coronation of the young Queen Elizabeth II and the conquering of Everest, he ran the first sub four-minute mile with the help of Christopher Chataway and Chris Brasher. "The world’s best runners, such as Paavo Nurmi, Jack Lovelock, Arne Andersson, Gunder Hagg and Bannister's personal hero Sydney Wooderson had been seriously attempting the four minute mile for a quarter of a century. "His achievement was a moment in history that lifted hearts of a nation and boosted the morale of a world still at a low ebb after the war. We have all lost a giant and for many of a deep close friendship. Thank you."